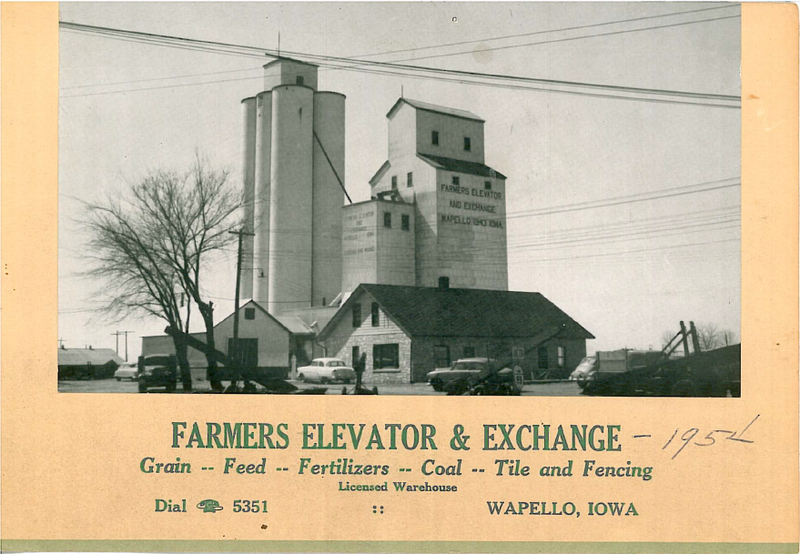 Farmers Elevator & Exchange (FEE) was incorporated on May 1, 1917, and reorganized on May 1, 1937 in Wapello, Iowa. 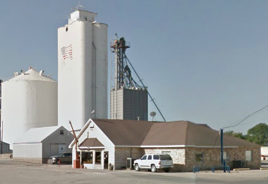 Today FEE is a single location company primarily in the business of purchasing, storing, and marketing corn and soybeans; however, the elevator operates five divisions; Grain, Agronomy, Energy, Feed, and Farm Store. These five divisions provide products ranging from agricultural fertilizer, chemicals, seed, fuel, LP, petroleum lubricants, feed, and other farm-related supplies and services. If you would like to know more about the products and services offered by our divisions please visit our Elevator Divisions pages or contact FEE. Photo of the Office in 2014.